With so many appliances constantly at work in your home, it is hard to know whether gas or electric is more efficient. You may not think about it when you are cooking your favorite meal or using your dryer, but there are certainly pros and cons to each option. If you are considering how to make your home greener and more eco-friendly, consider this info before you make your decision about what to buy. 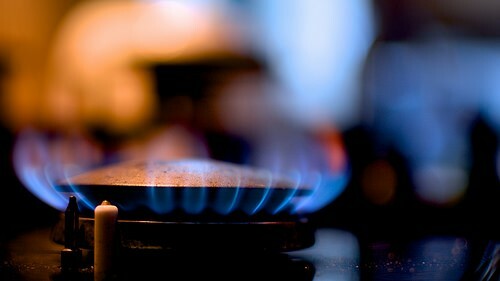 Most people who enjoy cooking will tell you that a gas stove is a much better option. A gas stove has either a pilot light or ignition that creates a spark to cook more evenly, while an electric stove isn’t nearly as precise with heat. The price range is similar for both types, so you don’t have to worry about one fitting into your budget while the other won’t. Gas ranges, like those from LG, do use less energy, so they are a better choice for the environment. Between the kitchen and the laundry room, we use over thirty percent of the energy in the home. The washer and dryer use a considerable amount of energy, so this is a place where you will want to consider efficiency. If you already have a gas line, it is typically much cheaper to switch to a gas dryer. It also helps lessen how much energy you are using when you dry your clothes. The reason for the lower price is it is harder to turn coal into electricity, so you lose efficiency when using electricity instead of gas. Most furnaces use gas to provide heat to the home, so unless you have one that uses electricity, you probably are already using the more efficient option. You can look for ways to improve the efficiency of the heating system in your home, such as by cleaning and changing the filters more regularly and keeping the thermostat at a fixed temperature instead of changing it often. These options can help reduce your energy usage and save you money on monthly utility bills, especially during the winter when the weather turns chilly. While you may not think a lot about your water heater, it can eat up a lot of energy to warm up water for daily bathing, cooking, and cleaning. The Department of Energy estimates that a household uses between 14 and 18 percent of its energy to heat water. Gas water heaters are usually cheaper to operate, since they use less energy and can heat water more efficiently than their electric counterparts. If yours is more than 10 years old, consider upgrading to a newer model, since outdated appliances tend to use more energy. Lessening your impact on the environment is an important thing to think about, and the appliances in your home might be using more energy than you even realize. If you can make the switch to options that use less energy, it will reduce your impact while also saving you money. Pingback: Which Appliance Is More Green?